As a seller, when do I receive my payments? 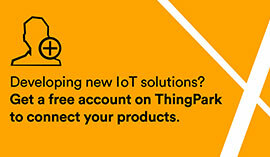 Every month on day 26, ThingPark processes all due transactions to seller, on a single payment. This payment amounts 85% of the full order value of the past month (including VAT & Shipping). How is ThingPark commission calculated? ThingPark commission is calculated on the total amount (total+tax+shipping) paid by the customer. For each new country where a seller is located, ThingPark will set the tax rules. If you are our first seller partner in a country we will be working closely with you to configure the tax rules. We calculate VAT rules based on shipping origin provide by the seller and shipping destination provide by the buyer. If tax is applicable, we apply it to the shipping. Under EU VAT rules, ThingPark will calculate and collect EU VAT on Selling on ThingPark related to sales made by sellers on non-EU websites who do not have an EU VAT registration number and are a resident of an EU member state. Sales made to business sellers (i.e. : sellers with an EU VAT number) will not be subject to EU VAT collection. ThingPark will charge the standard rate of VAT applicable to your EU Member State of residence for any Selling on ThingPark. If you are a resident of an EU member state and have an EU VAT ID number, please provide ThingPark with that number to avoid having EU VAT applied to your commission fees. To provide your EU VAT registration numbers, from Seller Central click Settings > Account, and Edit your European VAT numbers. At this time, ThingPark Marketplace does not support Seller from the US. Seller can propose to sell in the US only if they are allow to sell tax excl. What are the current accepted countries ? If your country is not listed, please contact us at seller-support@thingpark.com. We can on board new partner that want to sales tax excluded through our Marketplace. To be paid, you need to provide a bank account in a country supported by ThingPark. Currently, ThingPark supports bank accounts in the Eurozone. Products must be listed in Euro. Who will send a printed receipt to the customer? As a Seller you will be responsible to send the receipt to the buyer. You will be responsible to generate the receipt with VAT tax to manage shipment and customs. ThingPark Market will generate the purchase order to seller, confirm buyer payment, and transmit payment to seller.